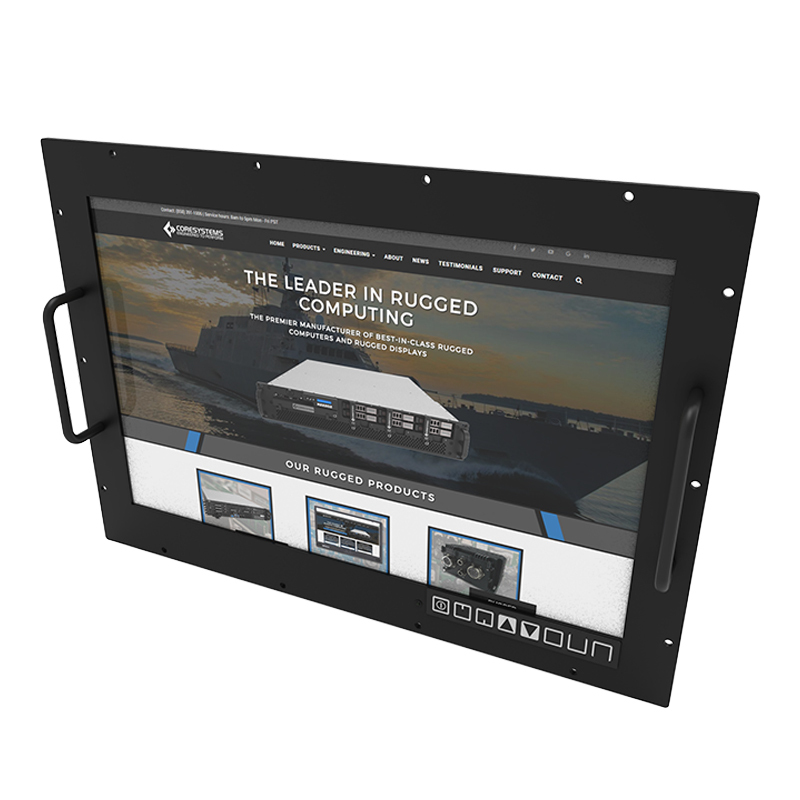 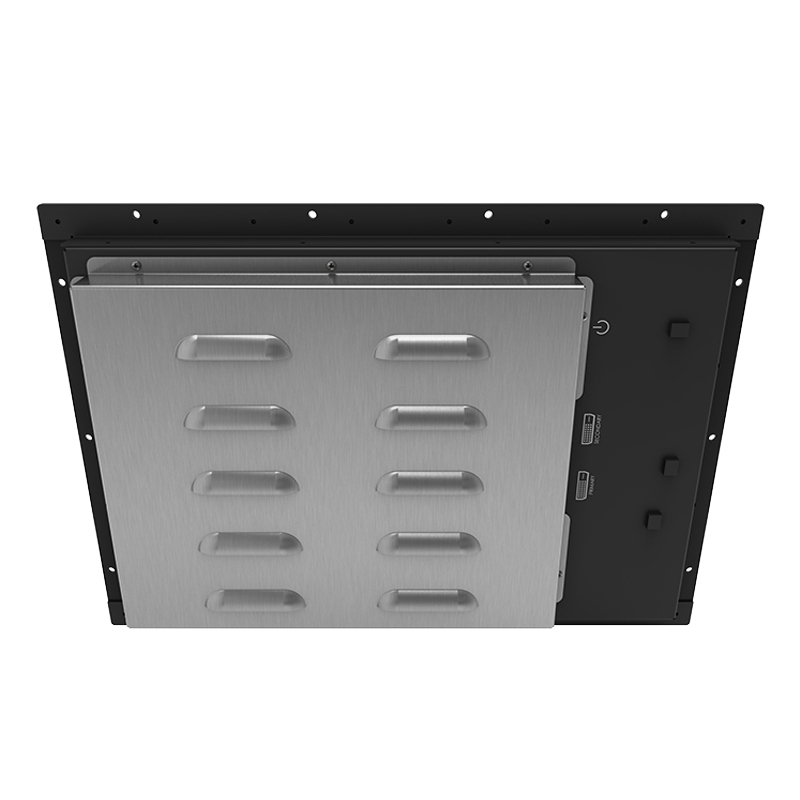 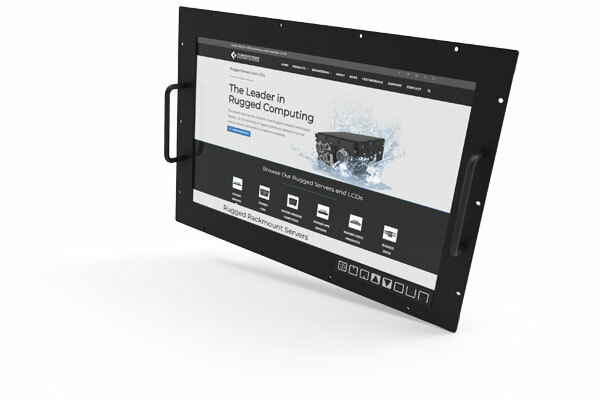 The MP19W by Core Systems is a 19″ Rackmount LCD with 8U Height. 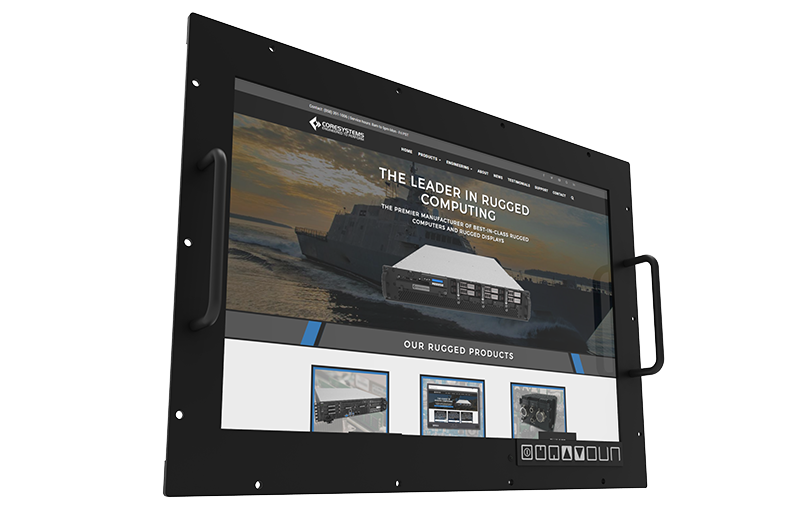 The MP19W LCD is fully rugged and has been tested to military standards. 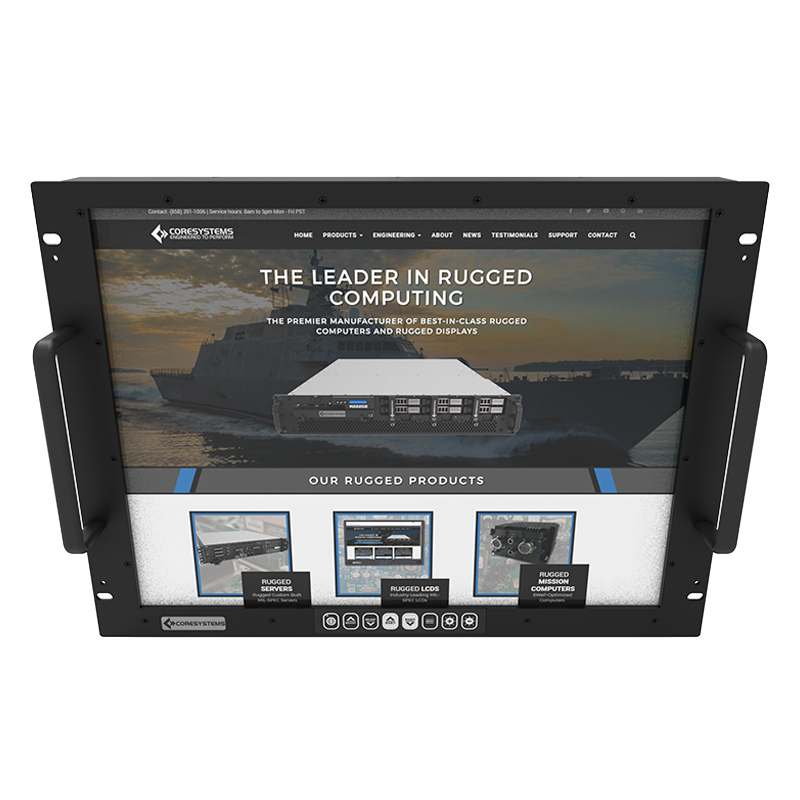 The military can have a variety of different needs for an LCD during a single mission. 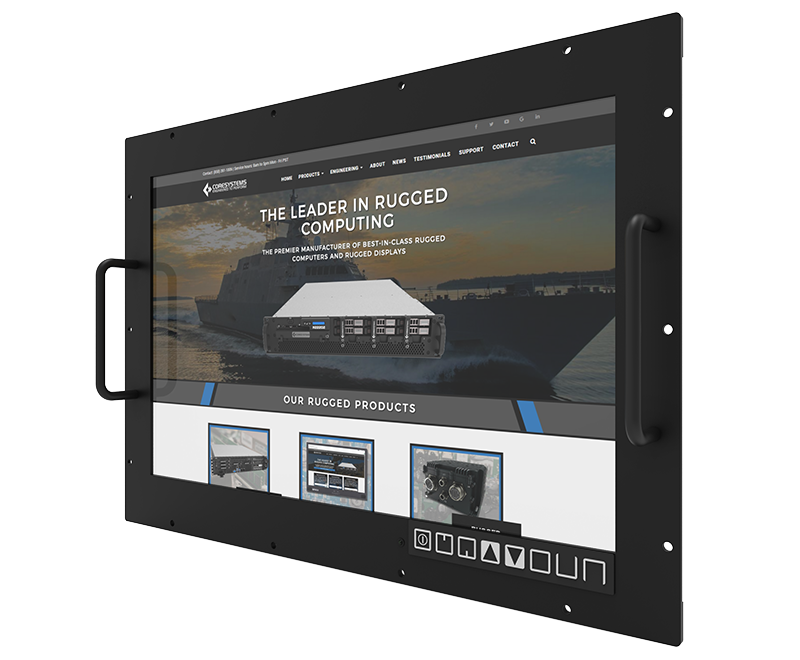 Size and weight play a major role as screens may need to be moved to different areas or placed on unorthodox surfaces. 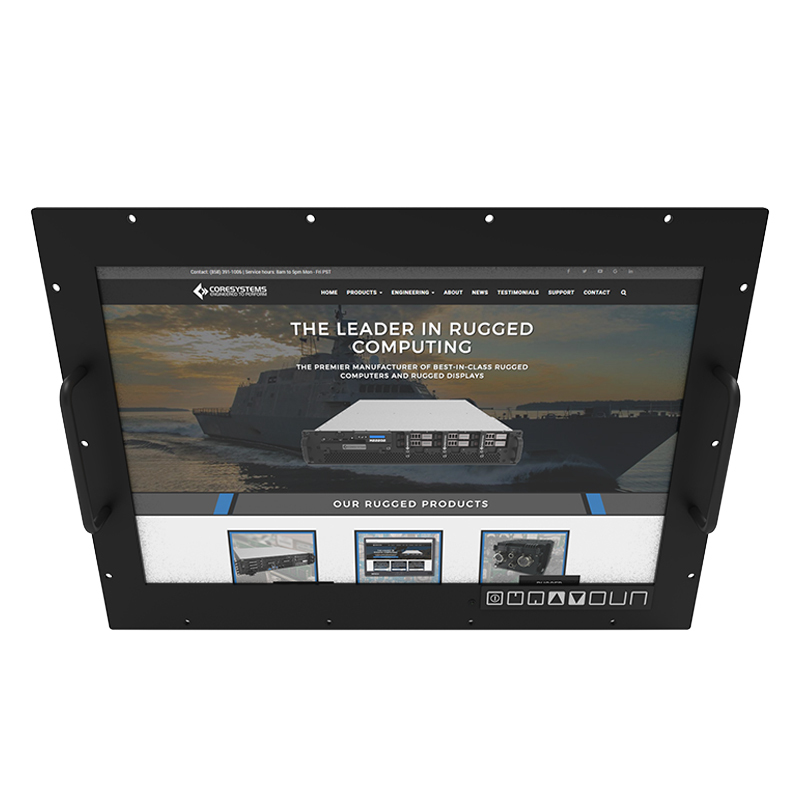 A bulky, heavy display will slow down missions and could result in a critical loss in time. 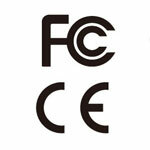 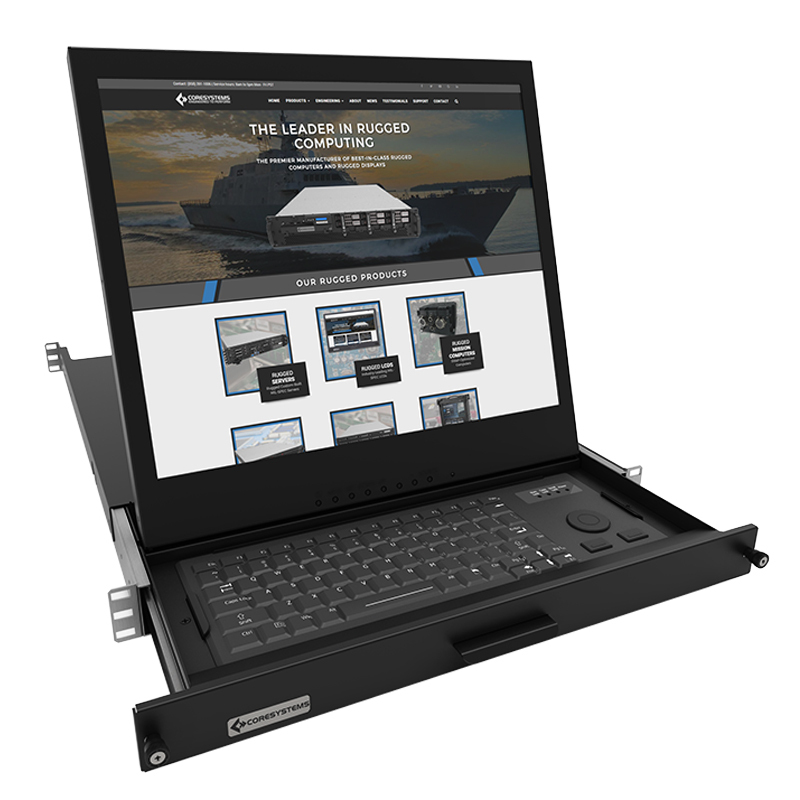 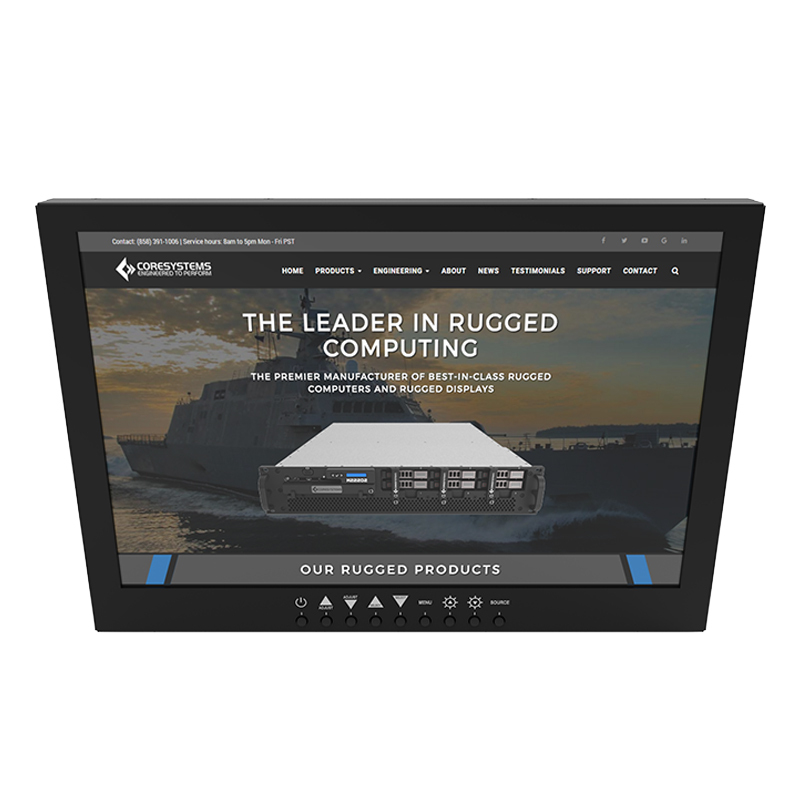 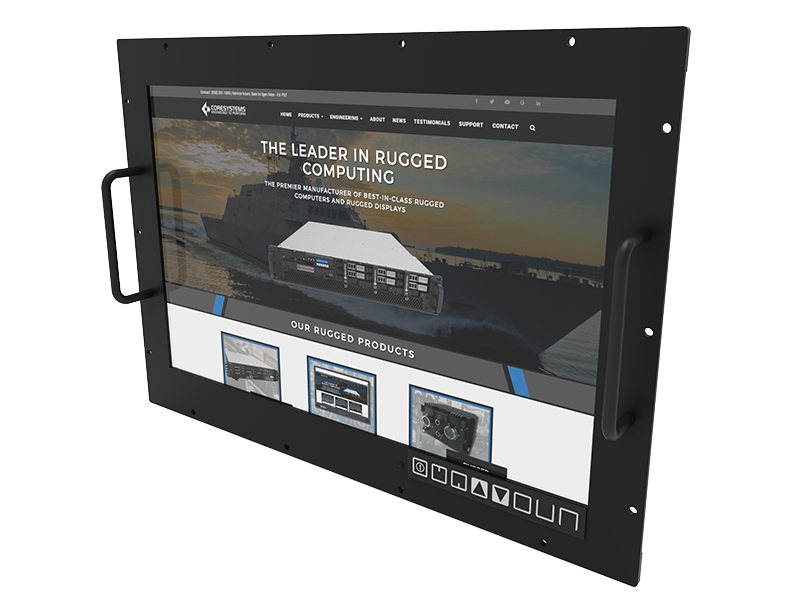 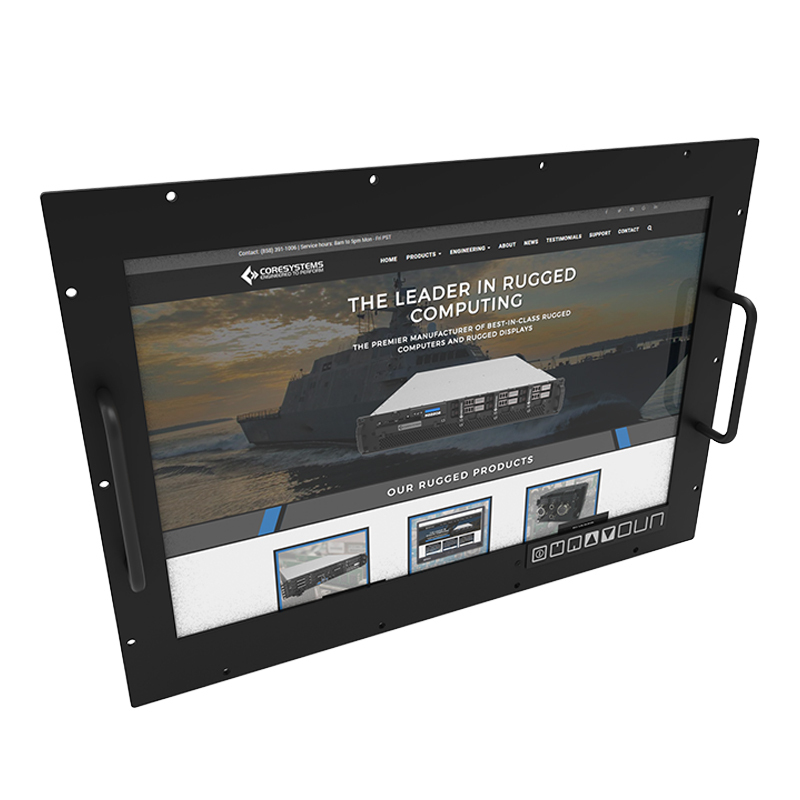 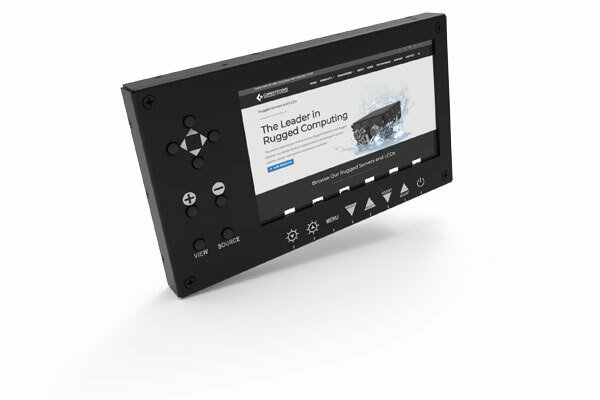 The Core Systems comprehensive line of rugged LCD displays are engineered to handle the most extreme of environments. 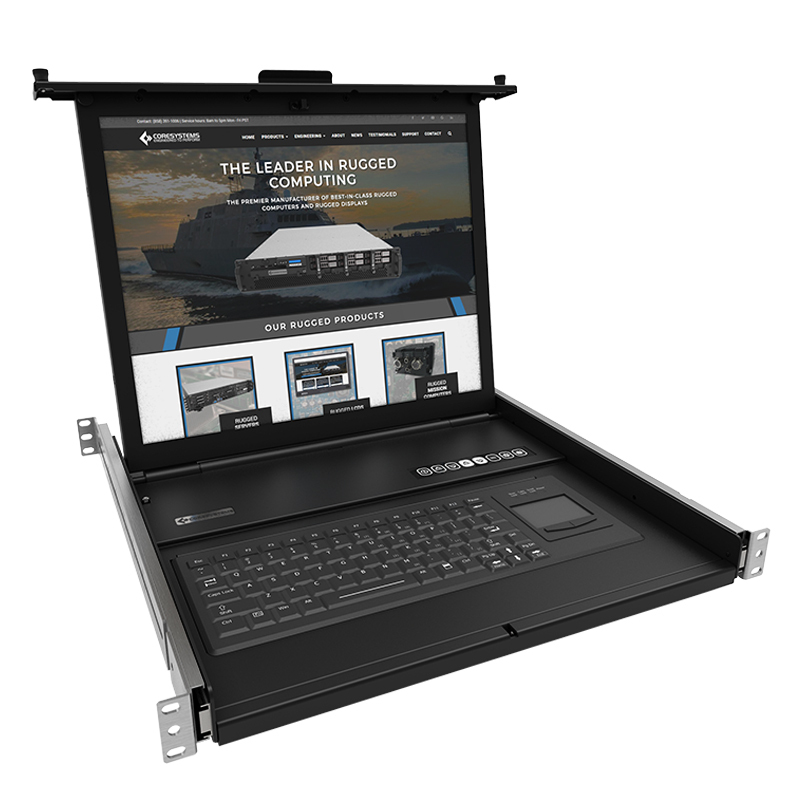 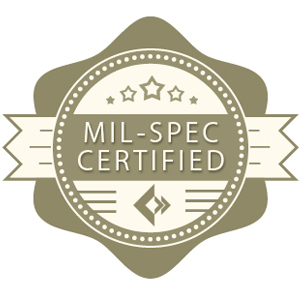 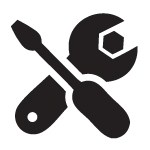 Core Systems offers several different form factors (pull-out drawer and fixed mount) in order to satisfy the requirements of 72U fixed racks and mobile transit cases.